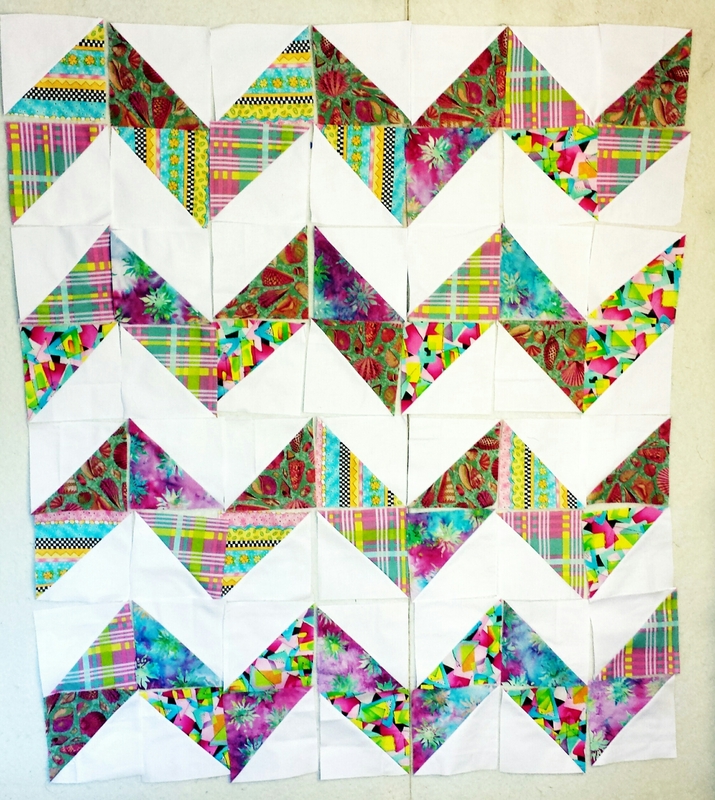 I had this quick baby quilt on my design wall this morning. by moving one row! 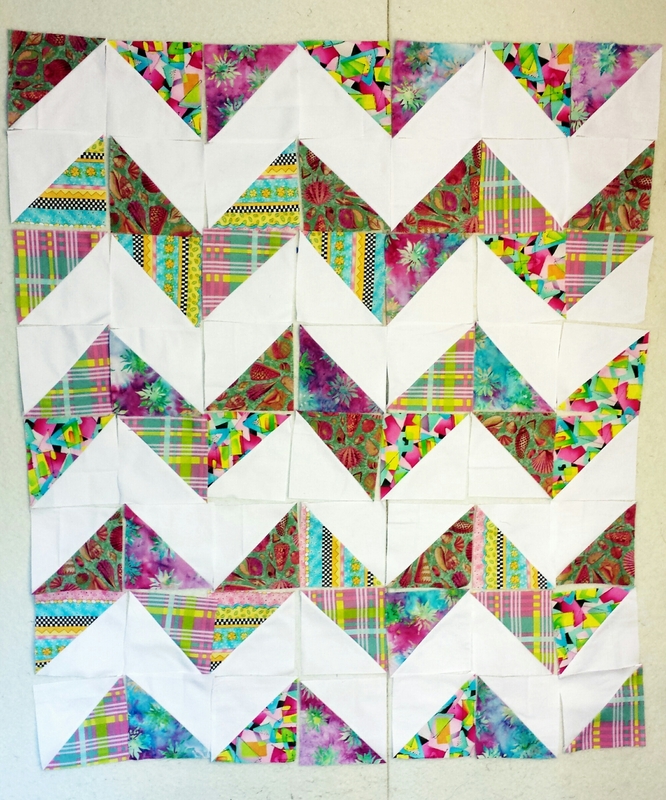 Yes, I moved the top row down to the bottom and now its a white quilt with pink and aqua chevrons. I see a few more blocks to move around, but I like this one much better! It looks so much better, it’s gorgeous already! I like them both! Very nice! I like it both ways. Love the fabrics!!!! Love the bright colors with the white and thanks for sharing both ways.